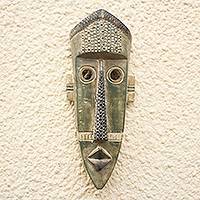 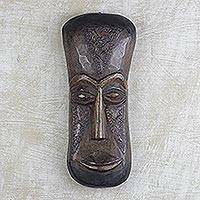 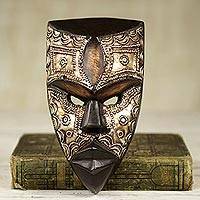 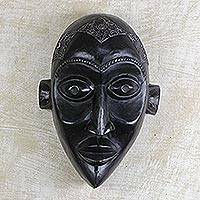 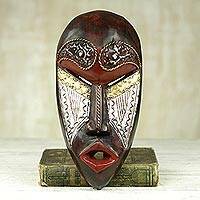 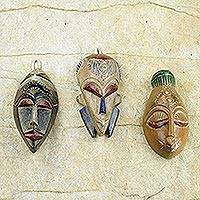 Sese Wood and Aluminum African Mask from Ghana, "Wisdom of Ghana"
Hand-carved from rich brown sese wood, this striking wall mask is designed by Kwaku Ofosuhene Apenteng of Ghana. 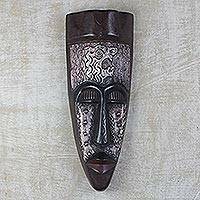 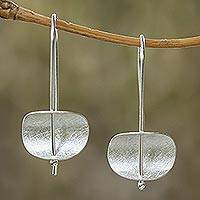 An engraved aluminum repoussé adds texture and a color to the wise young visage. 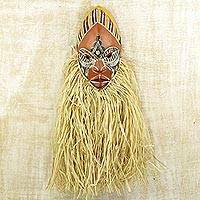 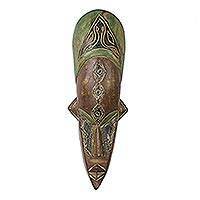 Artisan Crafted African Wood Wall Mask Igbo Peace Dance, "Dance for Peace"